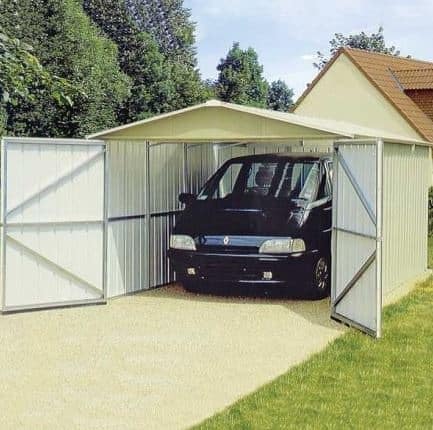 The Yardmaster Apex Metal Garage is the ideal solution for anyone looking for a quick, easy and practically instant way of having a garage installed. 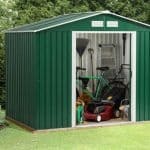 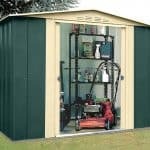 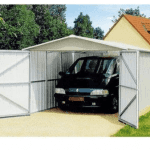 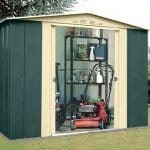 At over 17 feet deep and almost 10 feet wide, and with large, double-hinged doors, this instant garage is capable of housing a wide range of cars, including most large family vehicles, such as people carriers. 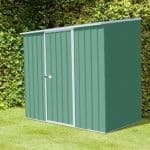 The sturdy metal structure can be anchored down to ensure it remains stable, even in strong winds; plus the maintenance-free painted finish ensures long-lasting quality, without any effort required. 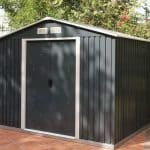 Furthermore, the roofing comprises of two translucent panels, allowing plenty of natural light in.